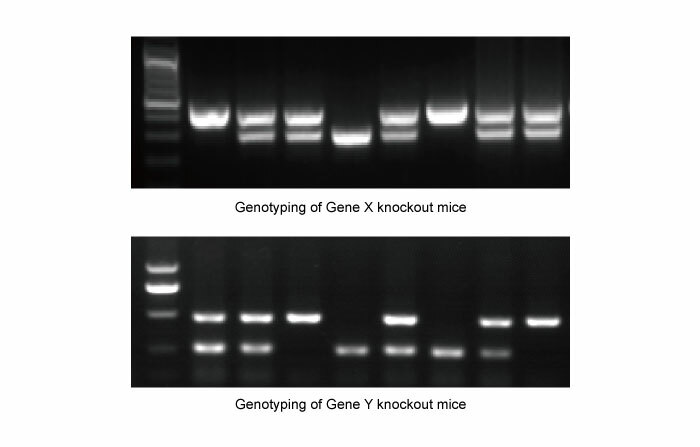 A simple fast way for genotyping of mice or rats. 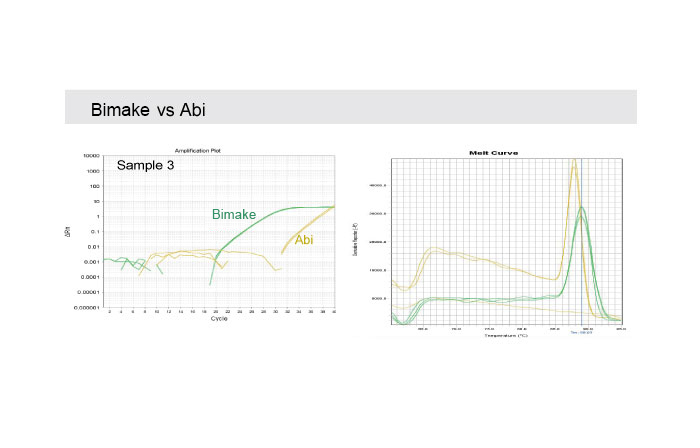 Fig: Real-time quantification using SYBR green qPCR master mix from Bimake, Roche, Takara and Abi Biosystems, respectively. 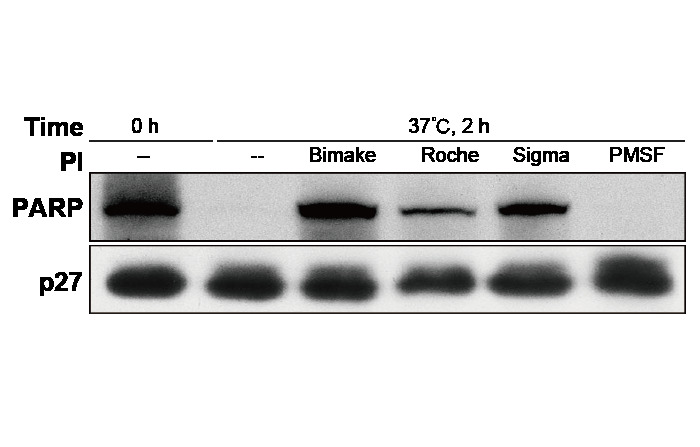 This data showed higher detection sensitivity of Bimake SYBR green qPCR master mix than that of others.